"A useful app to stop you receiving unwanted adware." 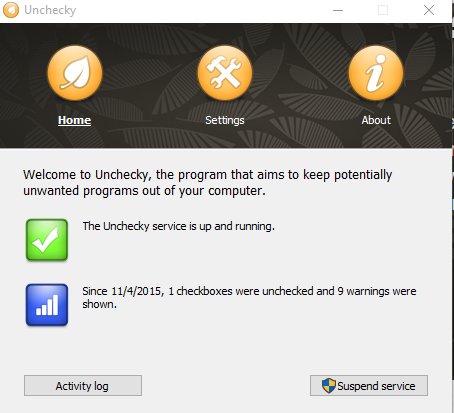 Unchecky is a clever little program, you know when you download a new free app or program and you click accept and agree on every page without actually reading what it is your getting and then all of a sudden you open your browser and its filled up with 6 new task bars and advertising all over the place and your computer’s memory is suddenly depleted and then everything starts running slowly and then you are running a system restore to try to get things back to how they were, wishing you had never downloaded that app in the first place, well let me introduce Unchecky, Unchecky will untick those boxes for you meaning you don’t agree to a new taskbar/browser/selling your soul by unchecking the little boxes that ask if you are happy to receive these things. So now you can go ahead and download that program you wanted and without receiving a ton of extra things you do not want. 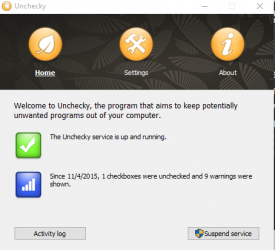 To be clear Unchecky is by no means a security measure and if what you are downloading is not safe it will not protect you, but it will stop you from accepting bloatware when you are downloading software and that is all that it promises to do, for what it does Unchecky is great and a very useful free tool. 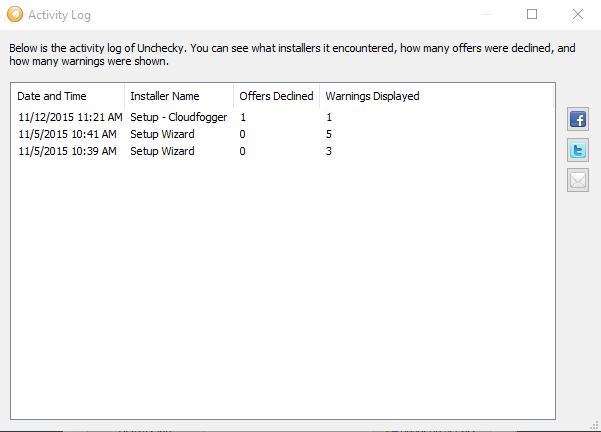 So if you want to avoid adware when downloading things then you can download Unchecky for free here.